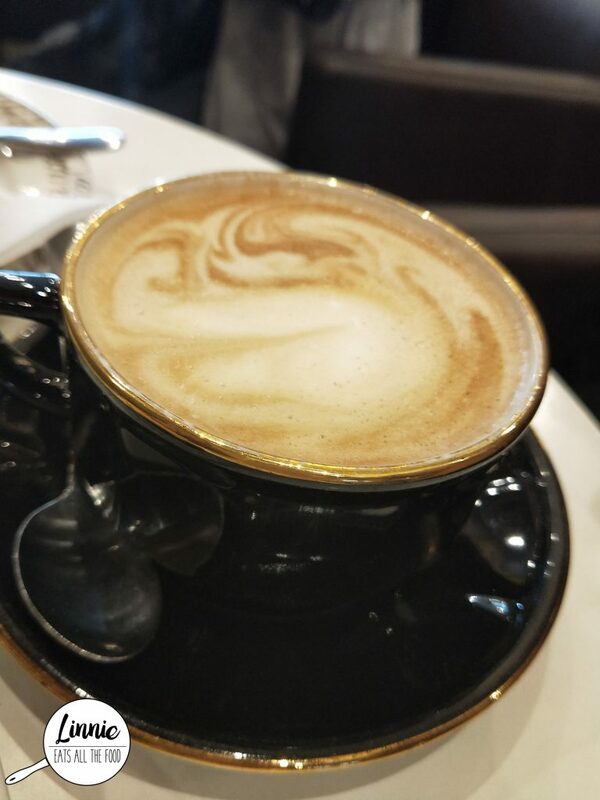 The latte was very average. 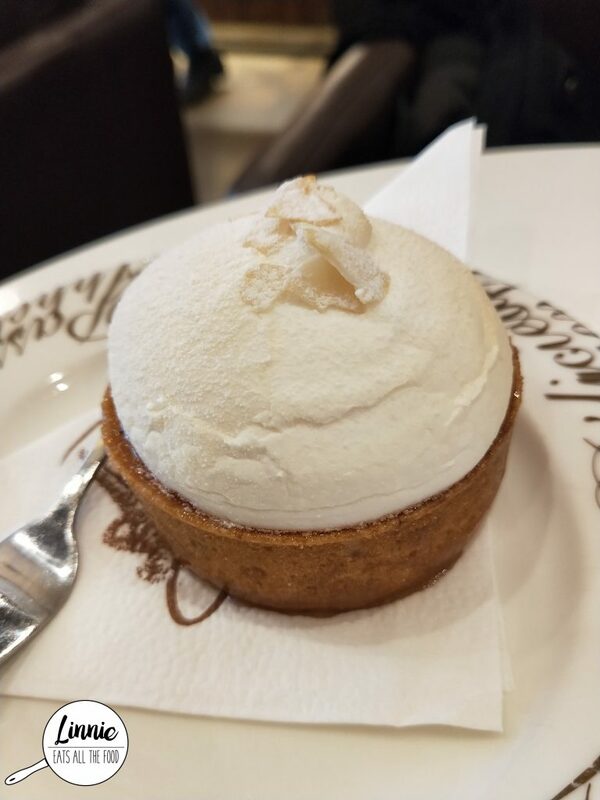 The meringue au citron or lemon tart was very lemony and that pastry shell was awesome sauce. Crumbly, buttery and oh so delish. There was way too much meringue for my liking though. For those chocolate and coffee lovers, the mietta cake is for you. It’s light, it’s fluffy and it’s oh so yummy! 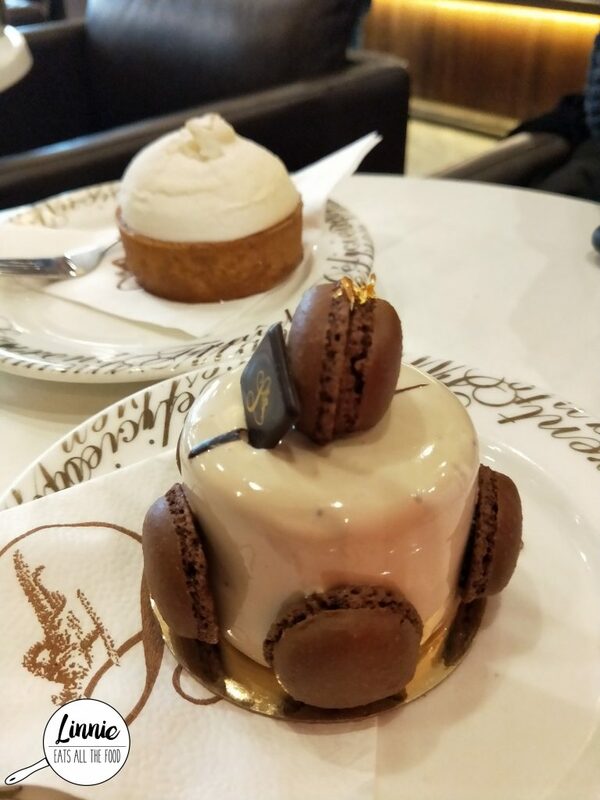 It’s even a little bit fancy with the gold leaf on top of the macaron too! 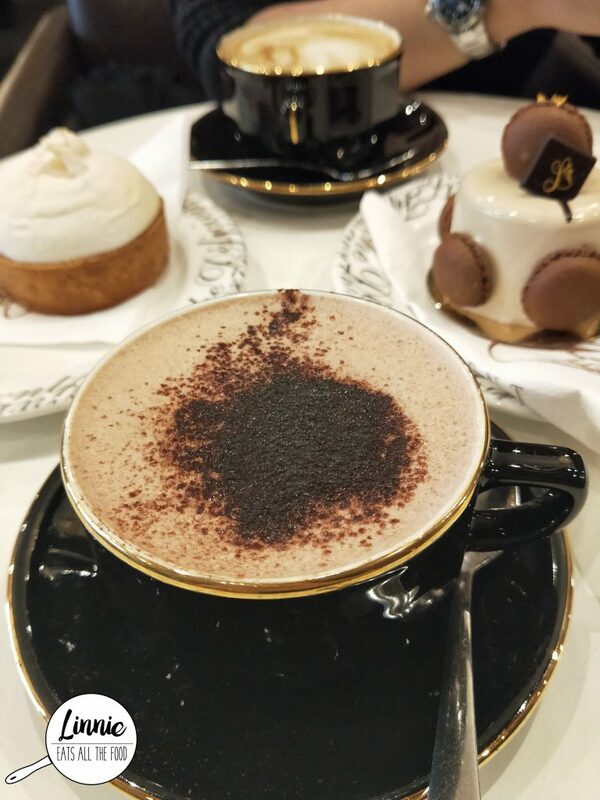 Laurent is a great place for a quick coffee and cakes when you want to catch up with a friend / family / special friend / other or even alone. Definitely get the lemon tart if you’re a lemon fan and it will not disappoint.